In this tutorial you are going to learn how to convert a file from Corel Draw to a PDF. As you can see here we have a Corel Draw file – the first thing we need to do is open this. 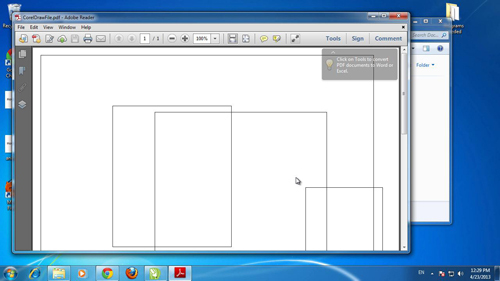 Corel Draw will load and you can see the contents of the file. Now to convert this to a PDF you need to click “File” then “Save As”. A dialog box will appear and you need to select “PDF” from the drop down box and click “Save”. A window called “PDF Settings” will open, here you can probably just leave the settings just as they are, click “OK”. The PDF file will have now been created, so navigate to where you saved the file. 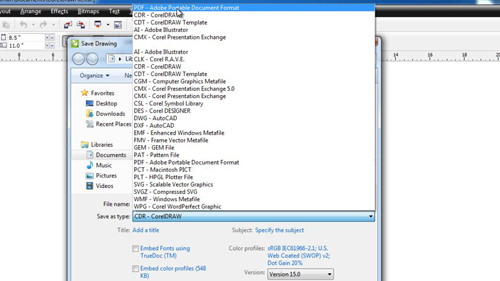 When you open the file it will open with Adobe PDF reader and that is how to convert Corel Draw to PDF.